Being able to save online streaming videos can be very useful. Not only will it let you watch the videos when you aren’t online, but it will also let you save any live content that you may not be free to watch while it is being aired. One of the most popular ways to save online streaming videos is by using one of the many platforms that allow you to download them. To use these platforms normally all you need to do is paste the URL to the video and it will process it then provide you with a download link. Although relatively easy, there are limitations present on such platforms in terms of the video quality, and duration or file size. On top of that some platforms only cater to online streaming videos from certain websites, and because they require a URL they are generally unable to download videos from within apps. It should be noted that some browser extensions are really just versions of the platforms described above, but others are not and will actually detect and allow you to save the video source. That can be useful, as it will let you download online streaming videos without any limitations to its quality or file size. The main limitation of browser extensions that save the video source is that they are limited to being used within browsers. 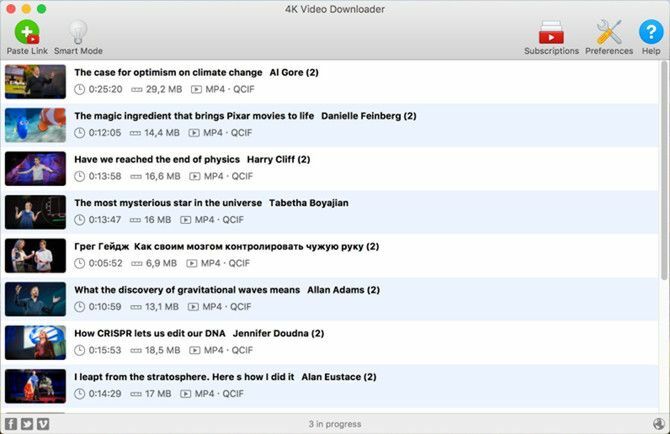 In short you won’t be able to use them to download online streaming videos from within apps. In contrast to the other options, screen recorders can provide a very different way to save online streaming videos – by capturing them directly from a screen. Because they do that, they have none of the limitations of the other methods, and can record and save any and all online streaming videos. The only thing that you do need to record streaming video Mac or PC is a decent software for screen capture. For example you could use Movavi Screen Recorder for Mac. Seeing as you need to record the video as it plays, this option can take some time – especially for longer videos. That is why it helps if the screen recorder you use has features to automate the recording. As you can see each of the options above will provide you with a different way to save online streaming videos. Depending on the type of video that you want to download, where it is located, and the quality that you want – you may find that one is better than the others. All said and done it doesn’t hurt to try each option individually to see how it works. Once you do you will find it easier to figure out which you feel most comfortable using in the long term.